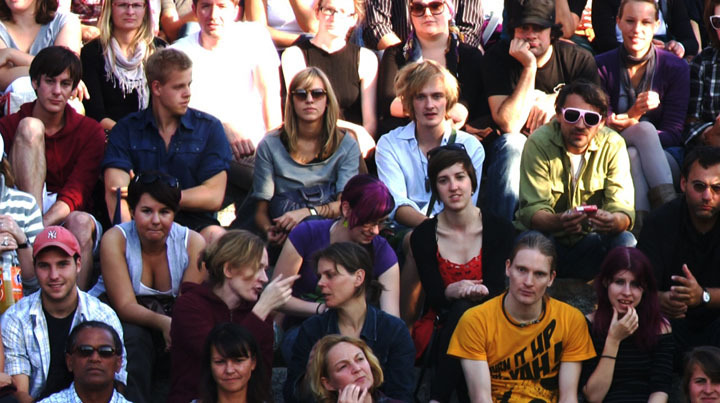 During a Performance of the famous Mauerpark Karaoke Sessions in Berlin the camera starts to focus on individuals in the crowd. As the third part in a series of videos about the role of the camera this video deals with the subject of data retention for future reference aka Big Data. The video can be seen as an allegory of a surveillanced society were everybody is captured and the information stored in order to be analysed later on for different kinds of purposes.